With the next application season starting in about three months, now is a good time to start thinking about obtaining letters of recommendation. I’ve been asked a few questions about this, so this is my attempt to answer them. It probably doesn’t cover every aspect of the process, but it should help a little. If there is anything else that you want to know, just send me a message and I can add to the list. Also, be sure to check out the Student Doctor Network (SDN) forums, because they literally have an answer to just about every question you can think of. I usually ask two months in advance of when I would need the letters. Usually LORs aren’t needed until you complete the secondary application which will be around July or August if you submit at the very beginning. Giving two months will also allow you to send a one month reminder if your letter still has not been written. How do I approach and ask potential writers? If you’re still in school, you can always swing by during office hours and ask professors. Just tell them a little about yourself and your goals. Ask them if they would be able to write you a “strong” letter of recommendation. Don’t be afraid to ask if you haven’t interacted much with your professors. In the past, professors who did not know me very well usually asked me for a copy of my CV and personal statement to help them write the letter. If you have taken online classes or have since moved away from school, e-mail is another great idea. I have asked for LORs by e-mail before, and it really has not been a problem. At most they will want more information about you, which shouldn’t be too hard to provide. I have never been denied a request for a letter, and I really do think people enjoy writing them. Just make sure to give them time. These are very busy people! In the case of physicians, when you initially contact them for shadowing, don't be afraid to ask if they would also be willing to write you a good LOR. They may not know enough about you to write a strong letter, but they can definitely give a character reference and their thoughts on how much interest you have shown. How many LORs should I obtain and who should write them? At the very minimum, I would say it is good to have at least two letters written by science professors and one from a non-science professor. If you are applying to osteopathic schools, a letter from an osteopathic physician is required or strongly recommended for a lot of schools. It is best to go directly to the websites of the schools that you want to attend, and look up the individual requirements. I remember having one school that specifically only wanted two letters, and another really only wanted a letter from the pre-medical committee. It will save you time if you look up the requirements in advance. Should I have my writers send the letters directly to AMCAS or the schools? The first time I applied to medical school I had my writers send their letters to each individual school (osteopathic). This can be extremely time-consuming, and it will be hard for you to keep track of everything. I strongly recommend that you set up an Interfolio account (www.interfolio.com). It only costs $19 per year, and you can have your writers send one copy of a letter directly to them. Interfolio will then make copies, and send the letters to wherever you designate them to. Your writers will also be able to send in an electronic copy of their letters and digitally sign it on the website. Super convenient! For AMCAS, the letters will need to be sent directly to their letter service, but this can also be done through Interfolio. As a non-traditional student who has been out of school for a while, what letters should I get? Unfortunately, you will still need to obtain letters from science professors who have previously taught you. It is also good to have LORs from employers and possibly clinical letters from places that you may have volunteered at. If you completed grad school, also include letters from graduate professors and your advisor. How important is a letter of recommendation from my school’s pre-medical committee? For some schools, this letter is very important (and I have the rejections to prove it). As a non-traditional student though, some schools will allow you to substitute science professor letters for this requirement. The pre-medical committee at my undergraduate institution does not give letters if you have been out of school for more than a few years or if you have a GPA below a 3.0, so unfortunately I was unable to obtain one. The pre-medical committee at my graduate school also did not want to write me a letter (which I mentioned in a previous post), and this hurt me at a couple of schools. Can I pick and choose which letters I want to send to specific schools? Yes! AMCAS will let you designate which letters you want sent to specific schools. Interfolio is also great for this because you can have all your letters stored in advance and sent to the individual schools (osteopathic only) at your convenience. How can I check to make sure the letters meet specific requirements? This is another plug for Interfolio, but they are the absolute best for checking this. I waived all my rights to view my letters, so I had no idea if they met the requirements of being SIGNED and on LETTERHEAD. This past cycle, I applied to Boston University and they sent me an e-mail stating that some of my letters did not have this. I would not have known otherwise! After that, I made it a point to call Interfolio and ask them which letters did not meet the requirements. The customer service representatives will go through each of your letters and let you know if they have what is needed. You can then send another request to your writers, and they will replace the letters. This is very invaluable because it can mean the difference between an automatic rejection or an interview. Should I wait to submit my application until I have received all my letters? As soon as you are ready to submit the application, go ahead and do so. The letters will be required to mark your application as complete once you receive the secondary and submit it. Some schools reject pre-secondary, so there is no need to send letters until you have been asked to do so. Should I mention osteopathic medicine in my personal statement? Even if you are only applying to osteopathic medical schools, in my opinion you should not write about osteopathic medicine in your personal statement. When you receive secondary applications, the majority of them will ask "why this school" and "why osteopathic medicine". If you write about this in your personal statement, you will have a really hard time answering the question in your secondary essays without sounding redundant. The personal statement should focus on your desire to become a physician and seek to answer the question "why medicine?". · From July 1, 2015 to June 30, 2020, AOA-accredited training programs will transition to ACGME recognition and accreditation. · There will continue to be osteopathic-focused training programs under the ACGME accreditation system. Two osteopathic review committees will be developed to evaluate and set standards for the osteopathic aspects of training programs seeking osteopathic recognition. · DOs and MDs would have access to all training programs. There will be prerequisite competencies and a recommended program of training for MD graduates who apply for entry into osteopathic-focused programs. · AOA and AACOM will become ACGME member organizations, and each will have representation on ACGME’s board of directors. There is still a lot that I do not understand about the merger, but I am hoping that it will eventually lead to one unified Match. As of right now, current DO students have the option to apply for both MD and DO residencies, but if they match into an osteopathic residency (which is done one month earlier than the allopathic one), they are automatically dropped from the allopathic Match. This is important to me because a number of DO residencies tend to be in northern and rural areas, and I will most likely want to stay in the south. If there is no unified match, then I may have to take a gamble and skip out on the osteopathic match. Having a unified match would mean that I would have more options available to me, and I could apply to more programs. This has not been addressed yet, but hopefully it will be soon. Sorry for the lack of posts this week. I’ve been battling a cold and crazy sinus pressure that has pretty much taken up all of my energy. Plus I’ve been super busy with work, and all I have wanted to do when I go home is zone out and sleep. I’m feeling much better today though, and we finally finished up our last experiments today. I am extremely happy about this! The last few weeks have basically been spent slumped over a microscope and removing small parasites from organs. It is extremely time-consuming and I’m pretty sure my shoulders and back hate me right now from being bent over for hours at a time. The good news is that I will probably only have to do this one more time before I leave for medical school, and we may get a few more publications out of it. My PI even wants me to write a research note for the Journal of Parasitology, and if I can pull it off, it will be the first time I ever get first author on a publication. Looking forward to the busy, but less labor-intensive weeks ahead! I just realized this could possibly be the last Mardi Gras season I get to experience for a very long time :-( Living in Louisiana has definitely spoiled me, and I’ve gotten so used to having a nice three-day vacation every spring in addition to spring break. I also can’t tell you how many king cakes I have had since the season started, but my waist line definitely can! LOL I Usually tend to avoid the parades and massive crowds filled with tourists, but I am going to have to make an exception this year. My daughter has only been to one parade her entire life (pictured above), so I have to let her experience it again before we leave. Last time she wasn’t too fond of being hit in the head with beads, but I’m sure her ducking skills have improved this year :-) I told her tonight that we can go to one tomorrow, so she’s pretty excited. Hopefully she’ll catch a couple of really nice stuffed animals too. In honor of Black History Month, I’m sending a shout out to my mother. 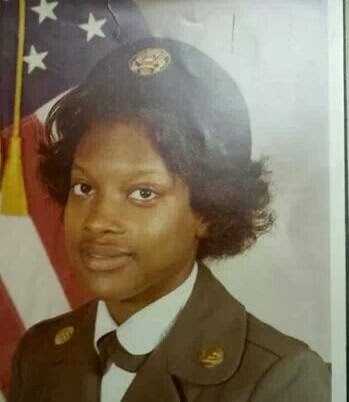 She was the first black female from the state of Mississippi to graduate from West Point (United States Military Academy), and also the second female graduate from the state. She is a true inspiration, and I am glad to be her daughter. She definitely set the bar high for me, and I hope to have some notable firsts in my lifetime! Also, although February is recognized as black history month, do not let that be the only time you devote to recognizing the many accomplishments of African-Americans everywhere. I could write a post about a different person every day, and after a year I would still have many more posts to go. I am appreciative of all the African-Americans who paved the way for me, especially in medicine, and I hope that one day I can do the same for future generations. This is another picture that I came across on Instagram today, and I just had to post it. A few days back I wrote on the subject of how you should not give up or allow your focus to be on failure (see HERE), and I feel like this picture conveys what I was trying to say perfectly! Recently, I have noticed that a lot of people tend to be focused on failing before they even begin to accomplish the task. I base this off of visiting pre-medical forums and seeing the number of posts asking questions about what it takes to be kicked out of school, what will happen if you fail the board exams, etc. As an entering medical student, I think it is crazy to be focused on all the negatives going in. I understand that it is important to hope for the best and plan for the worst, but thinking that you will fail going into anything will only add to your anxiety and increase your chances of doing so. Please do not set yourself up for failure by believing that it will happen. I will admit that I am just as nervous as everyone else about starting school in the fall, but my focus is on how I can be the best student possible. In undergrad, I remember how at the beginning of the semester I would calculate the lowest possible grades I could get in order to pass a class with at least a C. If I would do poorly on an exam, I would not be too upset as long as I could still get enough points on subsequent exams to pass. This mindset allowed me to pass, but that is pretty much all it did. In graduate school, I changed my tune and calculated the amount of points I could miss and still make an A in a class. This not only pushed me to work harder, but it also showed me how much more I was capable of doing. I believed that I was capable of doing great in every class, and the end results proved this to be true. I believe that I can do great in medical school, and I am not afraid to fight for it. I guess the point of all this was just to say stay positive and believe in yourself. Avoid negativity, whether it be from outside individuals or yourself, and keep your eyes on the prize. 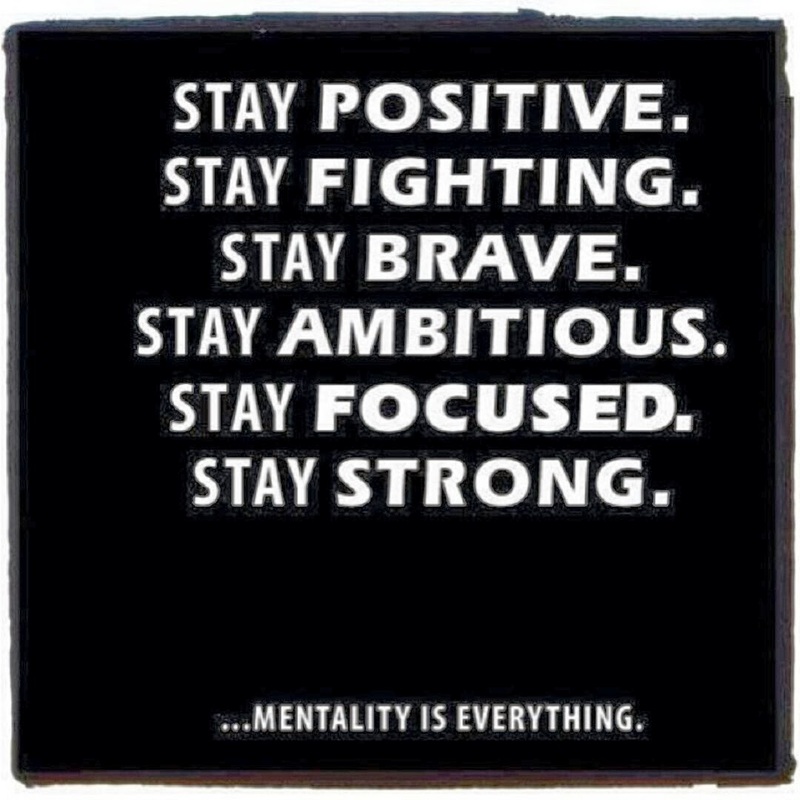 Maintain a positive mentality and you’ll be surprised at how far it can take you. 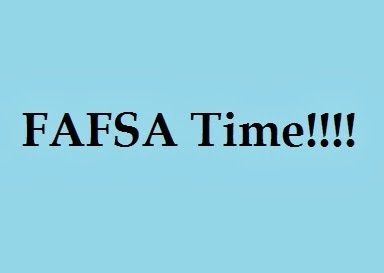 It’s going to be another busy week for me, but just wanted to remind everyone to take some time out to fill out the Free Application for Federal Student Aid (FAFSA). This is the application that will qualify you for student loans and grants once you start medical school. Even if you are not enrolled in school, and do not currently hold an acceptance, still go ahead and fill it out with the codes of the schools that you hope to attend. It can only help you in the long run, and if you do not attend school in the fall there will be no consequences to having filled it out. Also, check with the schools that you plan on attending for individual FAFSA requirements. Even if you are married, an older student, or have children, some schools may still require your parents’ information for aid consideration. I believe the majority of allopathic schools have this requirement, but some osteopathic schools will allow you to leave out parent information if you are over a certain age. The application is really easy and only takes about 10-15 minutes to complete. It’s easier if you have already filed your taxes, because you can transport the information directly from the IRS into your application. The link can be found HERE. Wishing everyone a very wonderful and productive week! This week’s minority women in medicine highlight goes to Dr. Octavia Cannon. She is currently braving the winter storm that is impacting a large amount of the southeast, but was so kind to allow me to interview her. It is one of my favorite interviews so far! She is yet another exceptional physician full of inspiration, and definitely worthy of a highlight. Dr. Cannon is an OB/GYN located in Charlotte, North Carolina. She is originally from East Lansing, Michigan. She received a full four-year scholarship and graduated from Johnson C. Smith University (JCSU); which is a historically black institution (HBCU) located in Charlotte, North Carolina. Dr. Cannon then went on to attend medical school at Nova Southeastern University College of Osteopathic Medicine in North Miami Beach, Florida. She returned to Detroit, Michigan to complete her residency and finished in 1999. After Dr. Cannon finished her residency, she returned to North Carolina and became the Director of Women’s Health at Gaston County Health Department in Gastonia, North Carolina. She stayed for six years before joining a private practice in 2005 known as Arboretum Obstetrics and Gynecology; which is located in Charlotte, North Carolina. Arboretum Obstetrics and Gynecology is the only all-female ob/gyn practice in Charlotte. It is also the only ob/gyn practice in the city that is NOT owned by one of the two major hospital systems in North Carolina. All three of the physicians in the practice are African-American and Dr. Cannon is the only osteopathic physician in the practice. Dr. Cannon is involved in many civic leadership activities in her spare time. She serves on the Board of Directors of the American College of Osteopathic Obstetricians and Gynecologists; where she is also a Distinguished Fellow of the College. She also serves on the Board of Directors of Florence Crittenton Services; a non-profit organization dedicated to promoting health and hope for at-risk single pregnant young women and adolescents, teen mothers and non-pregnant young women in foster care. She is a health expert for a local news segment called “Charlotte’s Professionals” on WCNC TV and gives many health seminars and presentations on the local and national levels. Dr. Cannon is also an active alumnus of Johnson C. Smith University; currently sitting on the New Science Hall Advisory Board. 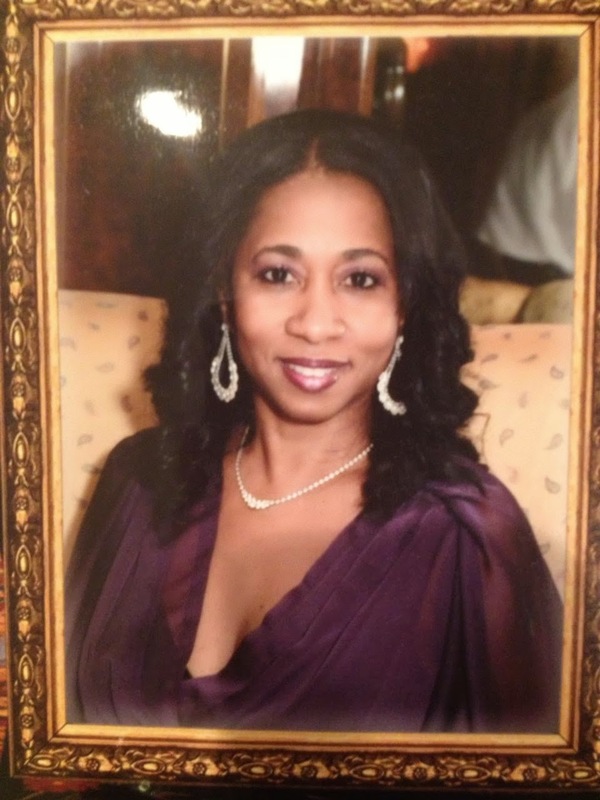 She also is enjoying her 29th year as an active member of the Alpha Kappa Alpha Sorority, Incorporated. What made you want to become a physician? Dr. Cannon wanted to be a pediatrician from the age of eleven. She was influenced by her own pediatrician, who was also an osteopathic physician. She doesn’t recall the exact reason that sparked her interest. She just knew what she wanted to do. She stated that she is the eldest of three children and has always been a nurturer; which may have something to do with it. Were you a non-traditional student or re-applicant? Why did you choose to attend an osteopathic school? Dr. Cannon stated that Michigan is a huge mecca for osteopathic medicine, so she never even applied to allopathic schools. She never considered the allopathic route because osteopathic medicine was all she knew and at the time she did not realize that there was a difference between the two paths. Why did you choose the specialty/field that you are in? Once Dr. Cannon did a pediatrics rotation at the Broward County Health Department, she realized that she a little too sensitive for pediatrics. She was taking the stress home with her every night and spending all her free moments at the hospital with sick children, so she decided that pediatrics just wasn’t the right field for her. Obstetrics and gynecology allowed her to deliver babies; hence having some contact with children, but also being a surgeon. It has worked out well for her. How do you maintain a positive life-work balance? Her spirituality is her main source of balance. Dr. Cannon is Christian and depends a lot on faith, family, friends and the love of her career to keep her going. Those elements also kept her going through medical school, residency and today. She cited Dr. Paula Anderson-Worts as being one her classmates and best friends during/since medical school. Dr. Anderson-Worts (and the Anderson family) loved, encouraged and FED her (nothing beats home-cooked comfort food) throughout the challenges of medical school and beyond! What advice would you give to other minority females pursuing medicine? Expect opposition, but let it serve as your motivational vehicle. Osteopathic medicine by nature is more sensitive and embodies a bit more compassion because it takes to heart what Dr. A.T. Still (Father of Osteopathic Medicine) stressed about the body’s structure and function being interrelated. The way you feel emotionally is going to affect your health. Once you understand that about your patients, you are going to be able to treat them more effectively. The ridiculous idea that women are not as good as men who are doctors/surgeons/professionals in general is a myth that needs to be crushed. Women also tend to be paid less. Use those things to your advantage. Those people won’t expect as much from you, so take everyone by surprise and let’s run the world! Let your haters be your motivators! What advice would you give to entering medical students? Remember that when you get to any graduate level of learning, EVERYONE IS JUST AS SMART OR EVEN SMARTER THAN YOU!! It can be very competitive. Figure out the way that you most effectively study and learn. Work hard, play hard, and pray hard. The hard part is getting through the books. Once you get into rotations and find out what you like and don’t like, you will become much more excited about practicing medicine. It will shed a different light on the field and you’ll find your niche. Practicing medicine is such a melting pot and so eclectic. You have to really open your mind and heart to become a good physician. It is important to understand other cultures. Be receptive to the different religions/cultures that make the world go round. You cannot be judgmental or unaware of the people of this nation, because you will not be a good physician. THANK YOU SO MUCH DR. CANNON FOR TAKING THE TIME TO TALK WITH ME AND FOR ALL YOUR ADDITIONAL INPUT IN THIS INTERVIEW! YOU ARE DEFINITELY INSPIRING, AND I KNOW MY READERS WILL TAKE A LOT FROM THIS. I KNOW I WILL DEFINITELY BE USING A LOT OF YOUR ADVICE WHEN I ATTEND SCHOOL THIS FALL, AND I CAN DEFINITELY RELATE TO A LOT OF WHAT YOU HAD TO SAY. THANK YOU AGAIN AND I HOPE YOU CONTINUE TO STAY SAFE AND WARM! 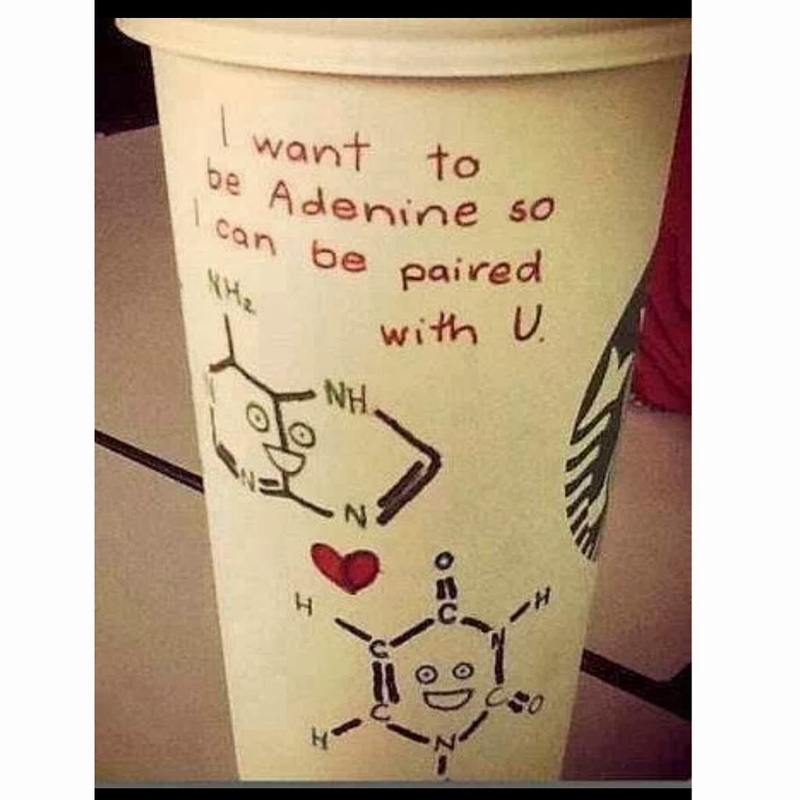 A little Valentine's Day humor for all my fellow nerds out there! Never underestimate the value of a good support system. Your support system should include individuals who encourage you to achieve your goals, and individuals who can help advance you to the next level. 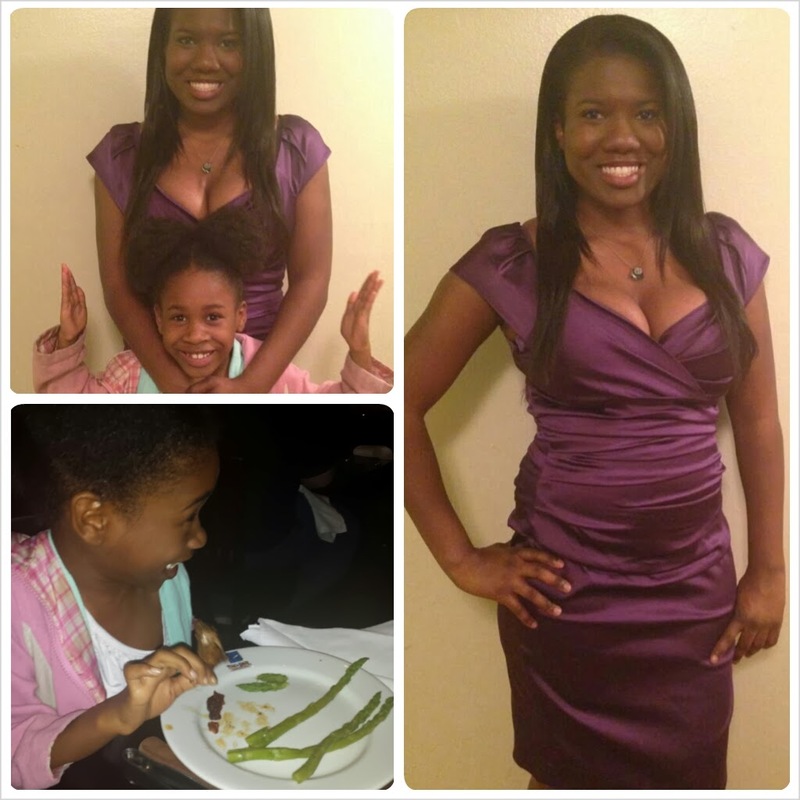 As a single parent, building a good support system has been critical to achieving my goals. Whether it was someone offering to babysit so that I could go study or have a break to myself, or just a friend offering to listen to me vent over the phone, I would not have gotten as far without the help of others around me. You may not think that it is important to rely on others, but no one gets very far on their own. The key is identifying where you find the support and encouragement to keep pursuing your dreams. This could be religion, online forums, family, close friends, or even a significant other. You just have to find what works best for your situation. There are some people who brag about being able to do it all on their own, but in reality no one has ever gotten anywhere in life completely without the help of others. 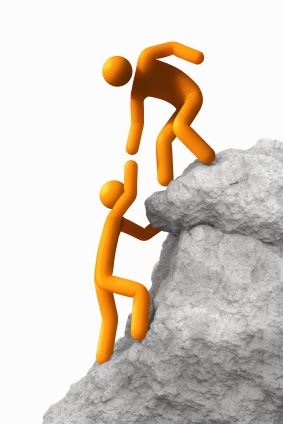 Having a good support system can also help you maintain your sanity and decrease the overall stress in your life. It’s inevitable that I may have some moments in the upcoming future where I feel that I am completely alone and unable to go on, but I am lucky to have a small but strong support system to keep me going. I hope all my readers that are about to enter into medical school are lucky enough to have the same, but if you don’t I encourage you to identify the sources of strength in your life. You never know when it might come in handy. 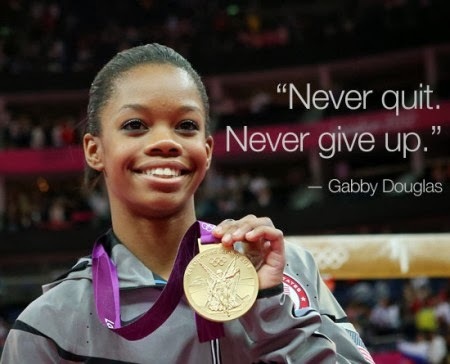 In the spirit of the Olympics currently taking place, I thought this picture was very fitting. One question that I have been asked a lot lately is why I choose to not settle or give up on my dreams of becoming a physician. Oddly, this is also a question that I never really thought about, so it was hard for me to come up with an answer at first. The answer is actually quite simple though. For me, quitting has never been an option, nor will it ever be. I’ve never allowed myself to have the mindset that I could completely fail because then that would have caused me to possibly pursue other options. That’s not saying that I haven’t failed, but when it did happen I looked at other ways of making it work out than just deciding to quit. Personally, I think it’s all about attitude. If you have the attitude that you’re going to be a winner, then eventually one day you will be one. It may not happen when you expect it to, but you have to really trust the process. What may seem like failure is really just an opportunity to define your weaknesses and work on improving yourself. It’s normal for the idea of quitting to cross your mind, but you should also realize the consequences that will come with defeat. I never settled because settling to me is equal to death. I haven’t worked for this hard, this long, and gone through everything I have just to quit. 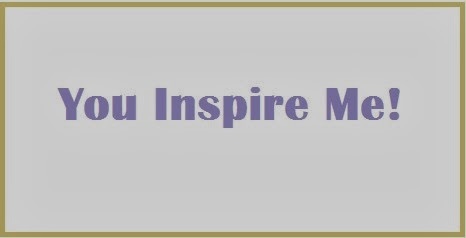 You should aim to live a purposeful life, and giving up and just going through the motions does not accomplish this. I’ve also noticed that usually when people give up they are so close to winning, and I do not want that to be me. So with that being said, whenever I start to feel defeated I just remember that it is always darkest before the light, and that’s what keeps me going. Today was another busy one, but super fun! I work for a school of veterinary medicine / teaching hospital, and today was open house day. 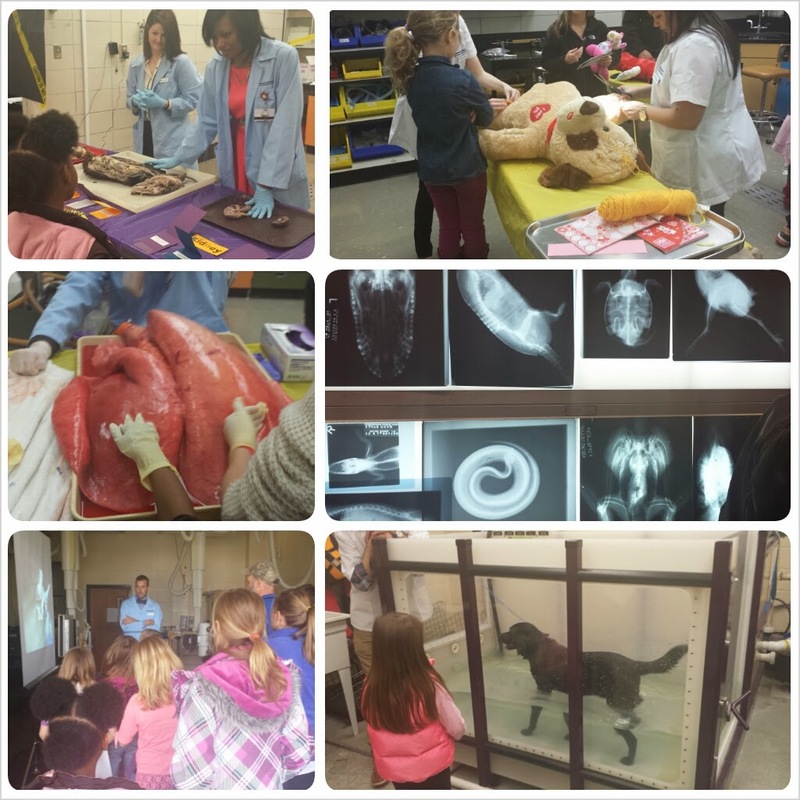 During open house, the veterinary school opens up to the public and it makes for a really great educational experience. It is great for children because it not only teaches them about the hospital, but they can also learn about different animals and their body parts. There was a chance to perform an ultrasound on jello filled with fruit, view x-rays, perform surgery on teddy bears, touch real organs, and even learn about parasites. They even brought out the school’s mascot (which is a tiger), and every one had a chance to view him while he was in his cage. My daughter looks forward to going to this every year because she loves dogs and the mini petting zoo that they have. 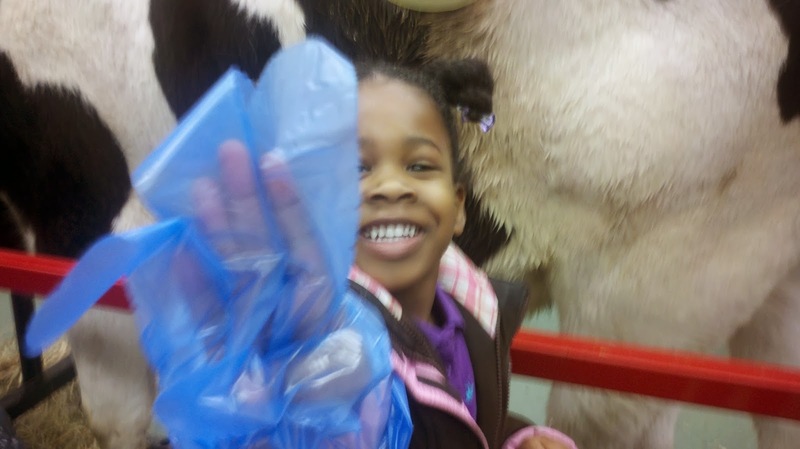 Last year, she really enjoyed putting her arm inside of a living fistulated cow. Fistulated cows have holes in the middle of them that allows veterinarians to easily feel around on the inside of them without harm and study how they digest food. It really is fascinating being able to put your arm inside of the digestive system of an animal. Unfortunately, my daughter didn’t want to wait in line to do it this year, but luckily I have a throwback pic! Having fun with a fistulated cow! 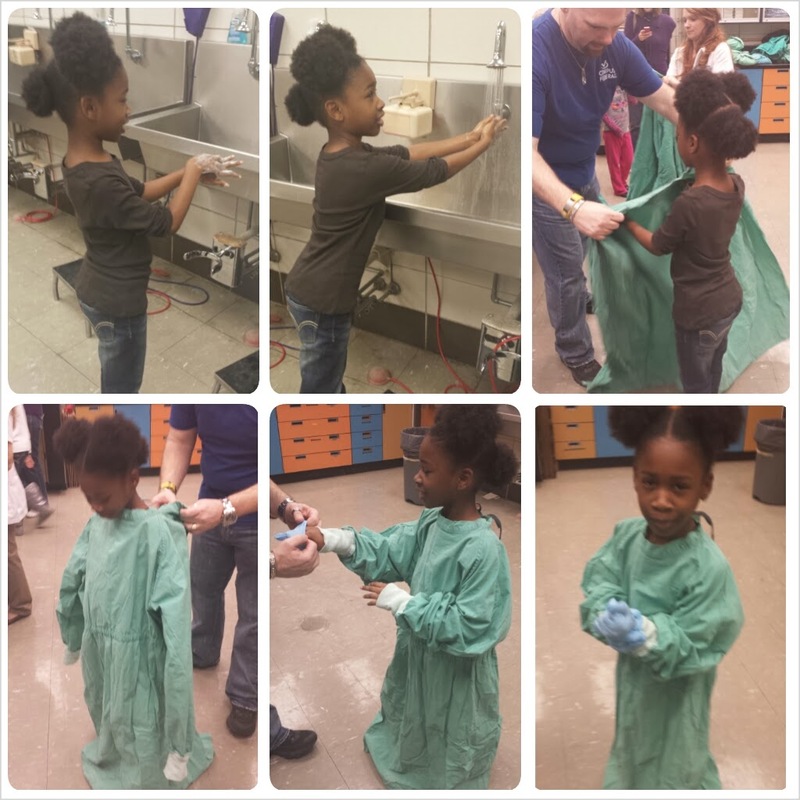 My favorite part was seeing my daughter “scrub in” for surgery. I always get a kick out of how huge gloves look on her tiny hands, and today I got a chance to see her in full gear. Hmm, do I see a future surgeon? Overall, it was great fun and we both learned a lot. I always love seeing the things that the veterinary students do. I’ll only have to learn the human body in medical school, but they literally have to learn every kind of animal. That’s one thing I will keep in mind if I ever feel the need to complain about the massive amount of information I will be learning when I start school. It really is amazing, and I am so blessed to be working at a place where I get to see it all on a daily basis. 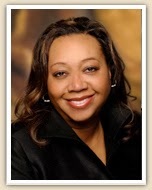 This week’s minority women in medicine highlight goes to Dr. Paula Anderson-Worts. I am so very thankful for the fact that she allowed me to interview her over the phone the other day, and her passion for medicine and life definitely showed. I hope she inspires you guys as much as she inspired me. Dr. Anderson-Worts is a family practice physician located in Fort Lauderdale, Florida at NOVA Southeastern University College of Osteopathic medicine (NSU-COM). She received a Bachelor of Science degree in biology from the University of Miami and her medical degree from NSU-COM. She has been practicing medicine for 16 and a half years. She is also an associate professor and program director for the family medicine residency program as well as the traditional rotating internship at NSU-COM. She teaches medical students as well as residents, and Dr. Anderson-Worts has also coordinated medical mission trips to Jamaica bi-annually for the past 13 years. Her complete biography can be found here HERE. Dr. Anderson-Worts gives credit to the fact that her mom was a nurse and highly influenced her interest in medicine. She was also influenced by watching the soap opera General Hospital, which had a character named Jeff Webber who was a surgeon in the show. He would be dressed in his scrubs and running through the hospital and that seemed very exciting to her. For the longest time she wanted to be a cardiothoracic surgeon just like the character. The show solidified her desire to pursue medicine, but most of the credit goes to her mother. Dr. Anderson-Worts’ passion for medicine started when she was 8 and has never wavered. Dr. Anderson-Worts took a year off after graduating from the University of Miami and worked at a family physician’s office. Dr. Anderson-Worts had always been treated by osteopathic physicians and her mom worked at an osteopathic hospital for 26 years. This strongly influenced her to pursue the path. She also wanted to stay in Florida when she was applying to medical school, so she applied to the few allopathic and osteopathic schools in the state. 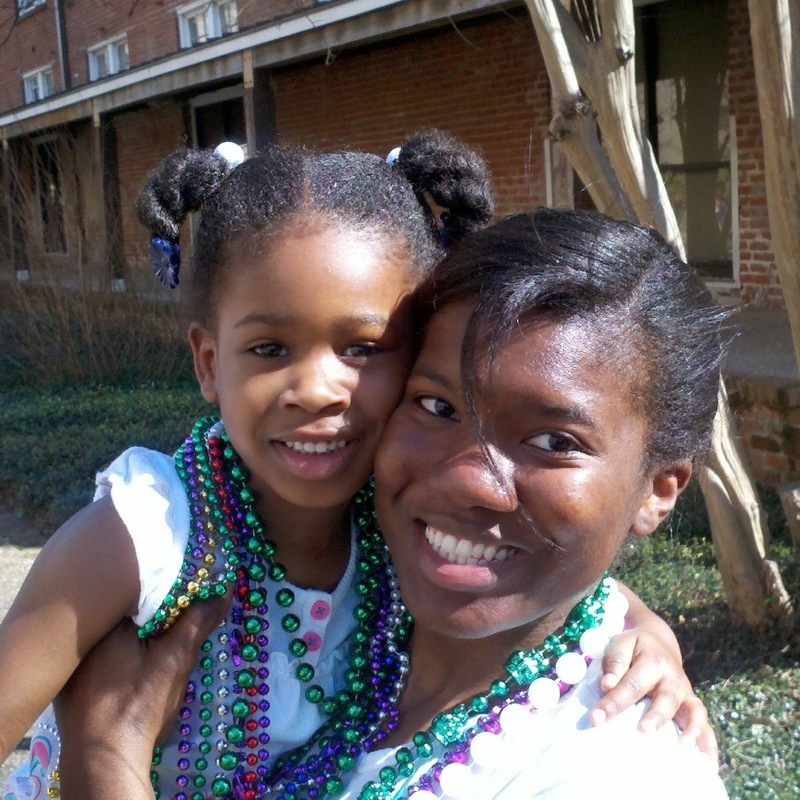 She chose the osteopathic school because they gave her a full tuition scholarship. She thanks God for this and states that it was the best choice. This is because she knew that she wanted to practice more preventative medicine, and being able to use your hands to heal instead of always having to prescribe medicine was appealing. She said that once she actually fully understood the osteopathic philosophy, she felt drawn to this type of medical practice. Dr. Anderson-Worts grew up with some philosophical beliefs about health and wellness, and when she was 16 she had the vision of doing medical missions. She felt that she needed to have a specialty that would make her well-rounded. She started off thinking she would be a cardiothoracic surgeon, and then before medical school she thought she would go into pediatric medicine because she loved kids, but when she started rotations she realized family medicine was a great fit for her because she wanted to be more well-rounded. She also worked with a family physician for a year before starting medical school which further influenced her decision. 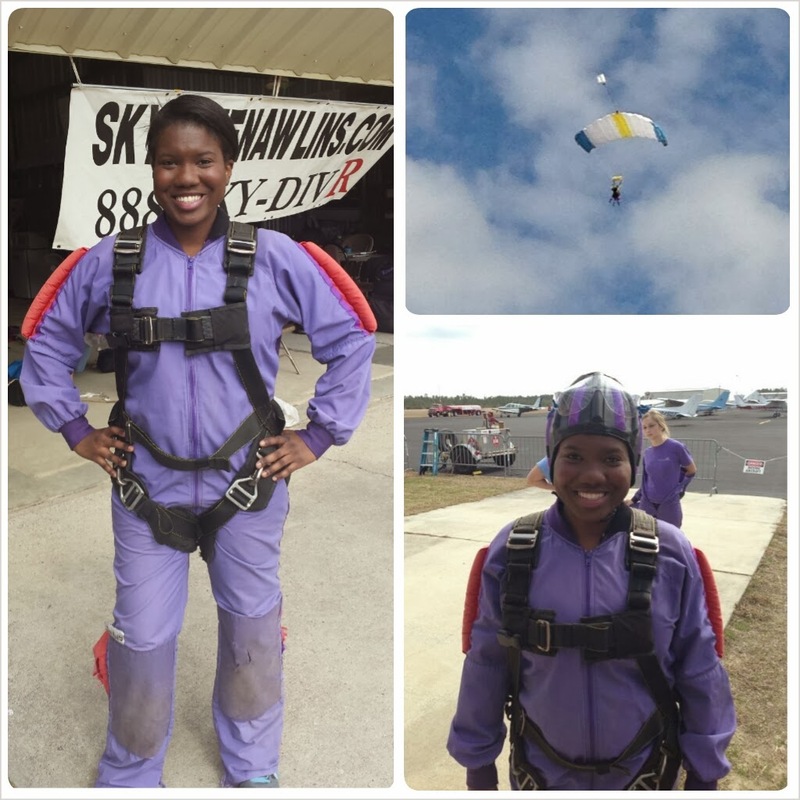 She enjoyed her family medicine rotations and believed that it would fit into her long term goal of medical outreach. She said it is not always easy, but as you grow and work towards improving who you are as a person you have to analyze and create a balance between who you are, your work, family life and the things that you are passionate about. Many years ago she read a book titled “Choosing to Cheat, “which emphasized the fact that if you spend a lot of time in one area of your life you will be cheating other areas of your life. Although you may not feel the consequences immediately, you will be faced with the effects at some point in your life. For her it is all about having that level of consciousness. It is not easy to do and it is something that she is constantly working on, but Dr. Anderson-Worts is always analyzing and evaluating to see how she can make herself better and provide time for the things that are most important to her. Her biggest advice is that you should follow your dreams and not allow anyone to discourage you despite your obstacles. She feels that the greatest joys in life come from fulfilling your purpose and carrying out God’s will for your life. Dr. Anderson-Worts suggests that if you want to find joy in what you do trust God, follow your passion, and you will find your purpose. What advice do you have for entering medical students? The information taught in medical school is not necessarily difficult to grasp, but it is the volume that is challenging for most medical students. She encourages people to find out how they study best and try to study by themselves, as well as with a group. Then you will be able to figure out the environment in which you work best. In her opinion, to get through medical school you have to do a combination of both of these. Seek out the ways in which you study best, because the sooner you learn, the better you will do. Dr. Anderson-Worts is one of the founding members of a non-profit organization called Women of H.O.P.E. (health occupations promoting education). Her organization works to not only educate minority communities, but also to promote healthier life style practices within these communities. It is also an organization that connects health with spirituality. For more information, please check out her website: www.womenofhopeintl.org. THANK YOU SO MUCH DR. ANDERSON-WORTS FOR ALLOWING ME TO INTERVIEW YOU AND FOR YOUR CONTRIBUTION TO THIS BLOG. YOUR PASSION FOR MEDICINE DEFINITELY SHINED THROUGH, AND YOU REALLY INSPIRED ME! I AM SURE ALL THOSE READING THIS WILL FEEL THE SAME AS WELL. Getting involved in research is not only a great way to enhance your medical school applications, but it also provides invaluable skills that can last for a lifetime. I first became involved in research during my junior year of undergrad, and it was definitely not what I expected it to be at first. For some reason I thought I would just jump into experiments and come out with breakthrough research within my first month. Never mind the fact that I had no previous research experience outside of a few class labs, and I still had a lot to learn. Shortly after graduation I applied for a position in the lab that I work for now. It was a stretch since the position preferred someone with a graduate degree, but I figured I would apply anyway. The research involved parasitology and immunology, and I figured it would be a great way to spend a gap year or two before medical school. I was ecstatic when I got the job, and it is what I have been doing ever since. I’m amazed at how much everything fascinates me even after four years, and I’m always getting to learn something new. I get to work with blood, human parasites, and animals! I even got a chance to do my first chamber surgery about a year ago, and for me there is no greater feeling than being able to cut open a living thing, suture it closed, and have it come back to life without any problems once the anesthesia wears off. I absolutely love it! But in a nutshell, I wrote this post just to say that if you are a pre-medical student and can get involved in research, then please do! It not only helps reinforce some concepts that you will be taught in your classes, but it really does help develop critical thinking skills. 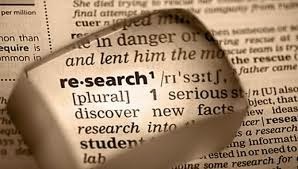 Having a research background will cause you to question everything and look at material from many different standpoints. It also gets you out of your comfort zone and allows you to teach others about your work. It is one experience that I am glad that I have, and I most likely will continue to do a little research in medical school and as a physician. In terms of publications, I recently found out that my lab just got another publication and I wanted to share a bit of it. It can be found HERE. Enjoy! 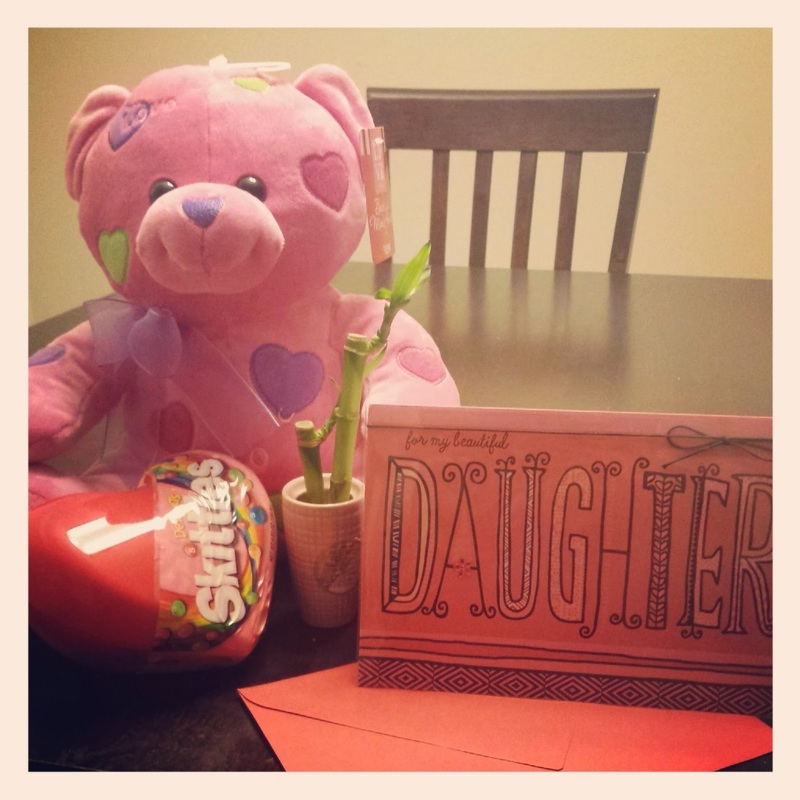 Congrats to readers Chelley K and Monquin in the Free MCAT Stuff Giveaway!!!! Chelley K will be receiving Package A which consists of two brand new Examkrackers 1001 Biology and Physics books, along with The Official Guide to the MCAT Exam 3rd edition by AAMC. Monquin will be receiving Package B which consists of the Examkrackers Complete Study Package 6th edition (books only and in used condition), and The Official Guide to the MCAT Exam 3rd edition by AAMC as well. Please send me an e-mail with your contact details so that I can get everything out to you guys as soon as possible. I already contacted Monquin with the e-mail that was listed, and I have no idea how to e-mail people through their google+ profile so Chelley K just send me a quick message. Good luck to you both in all of your endeavors!!!! 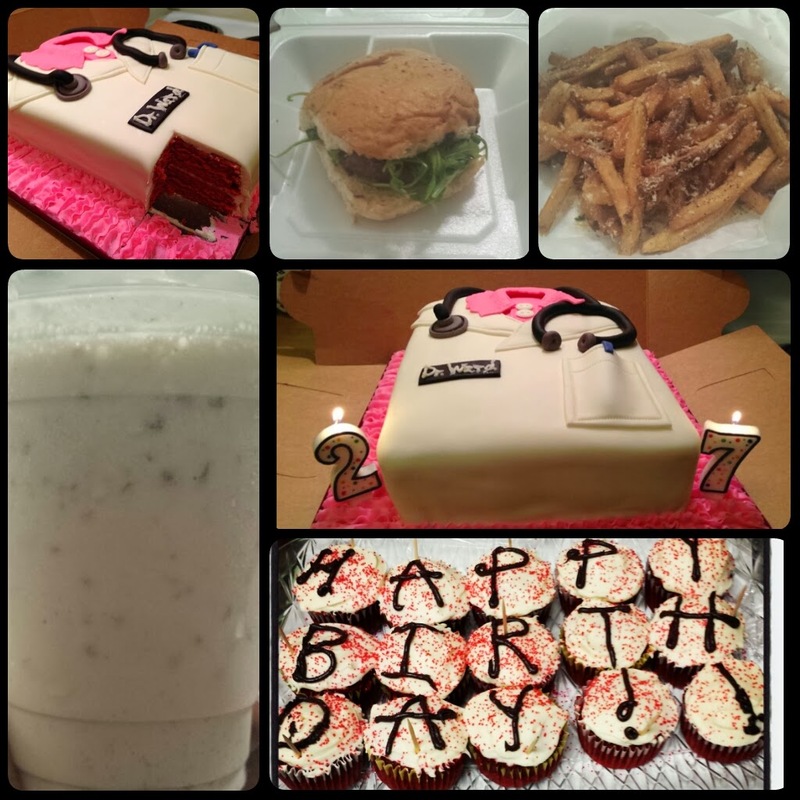 Another big part of my birthday was all of the food! I already showed my surprise birthday cake (which was so delicious), but I was also surprised by one of my student workers with some fantastic home-made red velvet cupcakes. I was a little upset that I had to work on my birthday because of the time we had off due to bad weather, but they definitely made up for it. I was also way too tired to celebrate Friday night and I ended up cancelling most of my plans, but my wonderful little sister surprised me with a foie gras Fat Cow burger, some duck fat fries, and a pecan praline milkshake. Did I mention how much of a foodie I am? LOL I was sooo happy! Gotta have a birthday dinner! To finish off the birthday festivities, we all went out last night and celebrated at a Brazilian steakhouse. This is basically a place where everyone pays one set price, and servers come around and load your plate with every kind of meat you can imagine. My daughter loves the place, so it was a lot of fun. I was also amazed at how fast I could hurry home and get ready after a very active and busy day. I also got a chance to see some old friends yesterday, so overall it was an extremely fantastic birthday. I can’t wait to see what the rest of this year has in store!